"This is the core wine in Forge's range, a New York winery led by Rhône-based winemaker Louis Barruol of Château de St.-Cosme. It's made from grapes on the southeast edge of Seneca Lake and the west side of Cayuga Lake. Instead of the more traditional stainless steel–only aging for Riesling, this cuvée relies on 50 percent neutral French oak." "Dry Finger Lakes rieslings would be great additions. Look for labels like […] Forge Cellars […] their basic cuvées should sell for under $25." 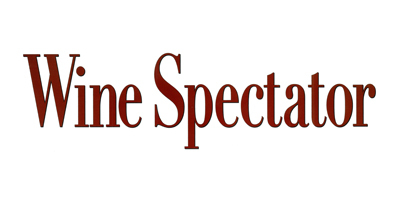 "Their rieslings do not follow the Finger Lakes style of crisp, fruity and citrusy, but they are rather more substantial in body because of long, slow fermentations." "A partnership between local talents Rick Rainey and Justin Boyette and acclaimed Rhône vintner Louis Barruol, Forge focuses on terroir-expressive Pinot Noir and Riesling. Their wines could go head-to-head with those from anywhere in the world. I stocked up on the smoky 2016 Forge Leidenfrost Vineyard Dry Riesling." "The Finger Lakes has begun to attract attention around the world, drawing winemakers like Louis Barruol of Château St. Cosme of Gigondas. 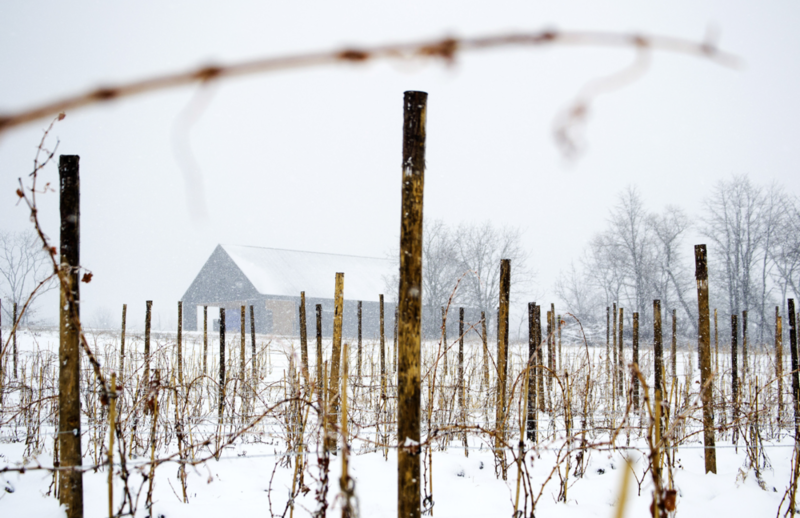 In the Finger Lakes, he is working with two local partners, Richard Rainey and Justin Boyette, at Forge Cellars, focusing on riesling and pinot noir. The Classique cuvée is an excellent introduction to their riesling style, bone dry yet rich, with spicy mineral and ginger flavors." "Forge also achieved an unusual accomplishment in the magazine's 2018 ratings: a score of 90 for a red wine, its Pinot Noir Finger Lakes Les Alliés 2015 ($32). It was only the second 90 for a red wine in the history of the Finger Lakes." "If you're not sold on Riesling yet, today's selection is a good gateway. If you're simply looking for great values, you won't be disappointed: These high-quality examples from around the world won't break the bank." 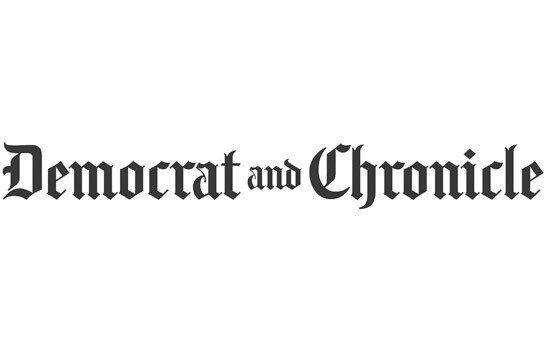 "They are doing things that haven’t been done in the Finger Lakes," Molesworth said. "I think they are showing the region a new path and doing interesting, distinctive stuff." "At Forge, new world technology seamlessly melds with old world winemaking." 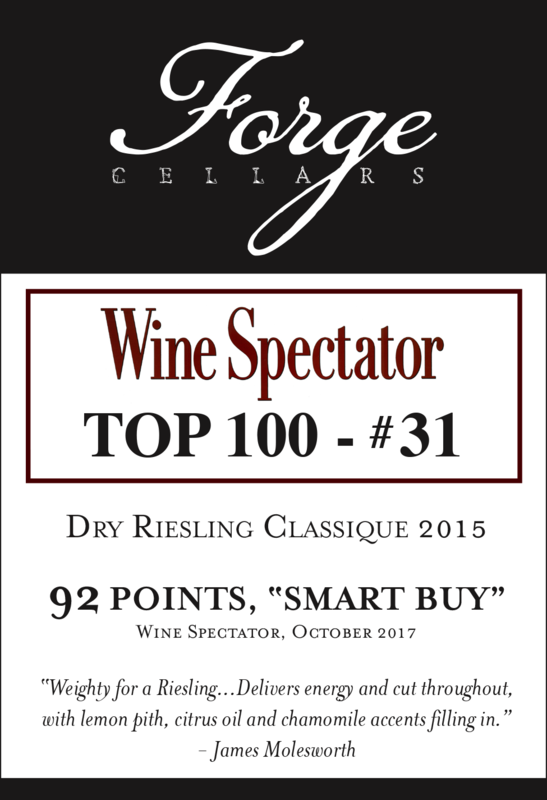 "From the Finger Lakes region of New York, the 2015 Forge Cellars Classique Dry Riesling ($19) is full of minerality, almond, orange zest, citrus and a whisper of smoke — soft and luscious with bright acidity and a dry finish." "This is easily the best-organized tasting we have ever had. A small group of strangers arrives at a given time, sits down at a gorgeous table and is lead through the wines, given both time and opportunity to appreciate and discuss the merits of each. Perfection." "These are estimably down-to-Earth types with an almost spiritual commitment to harmonizing with their land, an unforgiving land whose climate toughens the skin and head and rewards those who treat it with respect. As cheesy as it sounds, Forge’s wines have a little something extra, and I don’t think it’s unreasonable to suggest that its terroir includes these more human elements." 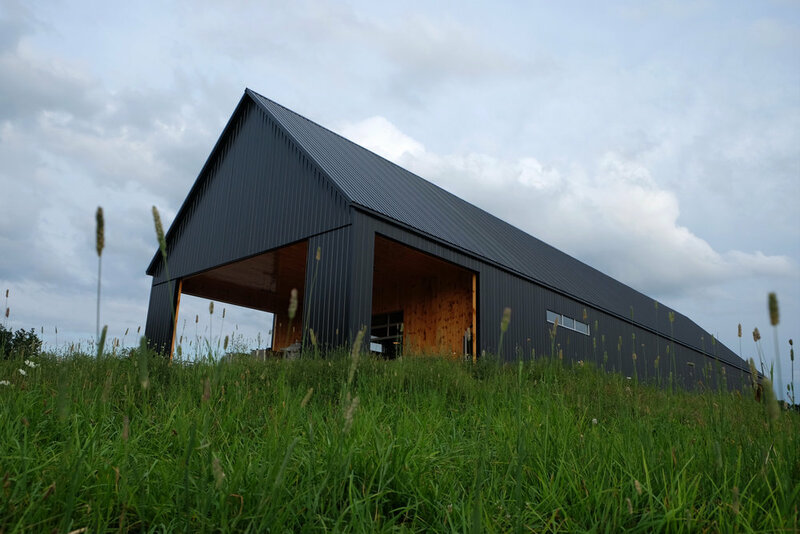 "In reality, it’s an exciting, transformative time for Finger Lakes wine — and, by extension, for people who appreciate high-quality wines." "Old World tradition dating back almost 450 years in Gigondas has met up with New World viticulture in the Finger Lakes, where Vitis vinifera grapes have been grown for less than 60 years. It’s a new partnership and matches centuries-old European wine production and modern American building technology. Forge Cellars has a promising future if early efforts continue to develop as they have so far." from long island to the finger lakes and in between, ne wyork produces vibrant, cool-climate red unlike any others. 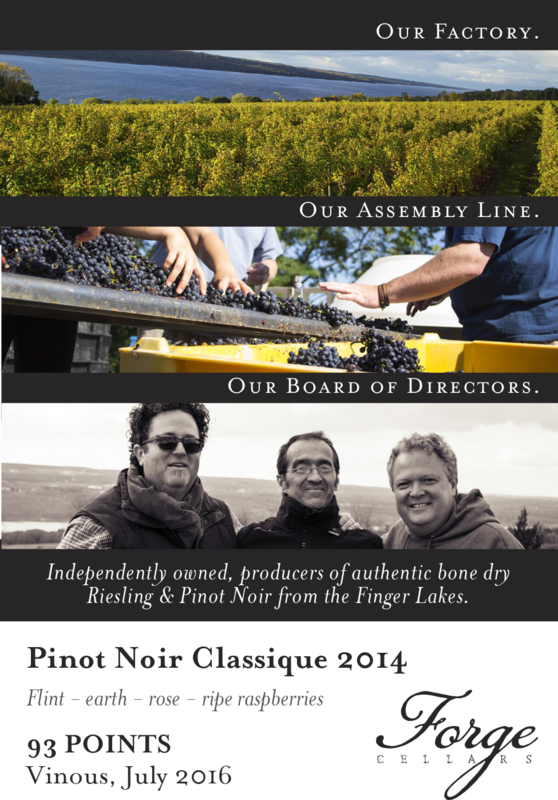 "The Finger Lakes region leads Pinot Noir production in New York and has carved an identity of its own." 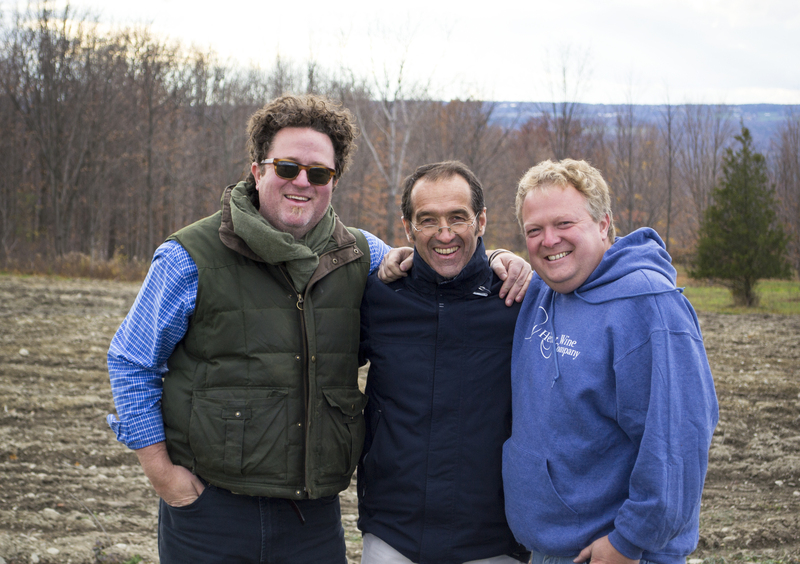 "At Forge Cellars, Louis Barruol and Rick Rainey are setting a new standard in New York." "The approach at Forge isn't new—it's been tested often enough by Barruol back home in France. But it is new to the Finger Lakes. The results are dramatic enough that the rest of the region—and you the consumer—should pay close attention." "Louis Barruol of Chateau Saint Cosme in Gigondas joined forces with locals Justin Boyette and Rick Rainey to form Forge in 2011, which is producing some of the most polished and sophisticated wines in the appellation." 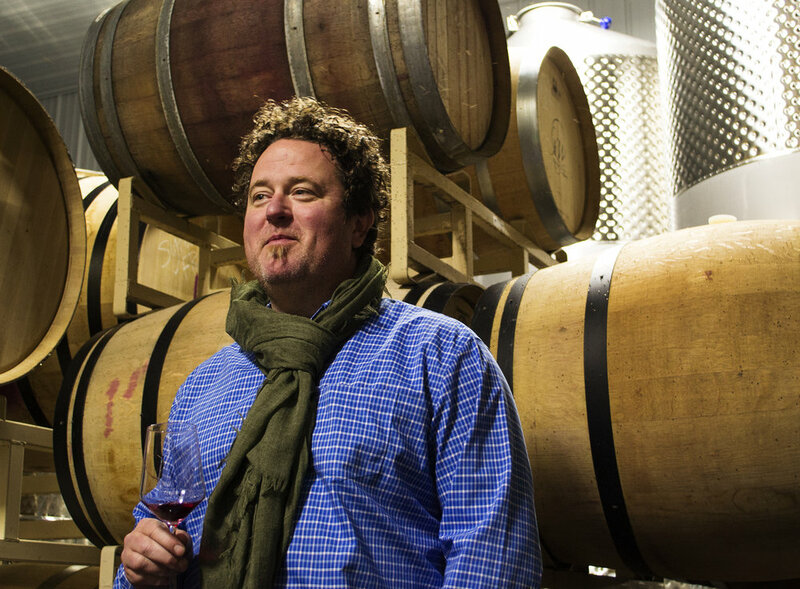 "From early on we agreed that we wanted to make Pinot Noir and Riesling only," Rainey says. "We have the high-level acidity and minerality and we want to create wine with richness, depth and complexity." “Forge is about the love of wine, but really this is all about the desire to do something great and everlasting”. "It so honestly captures the essence of pinot noir I could hardly breathe — and its translation of the terroir (as only a pinot delivers it) is remarkable. It is both imperfect and wonderful." "Perhaps the most endearing aspect of the Forge trio is that Barruol, Rainey and Boyette are all thrilled to engage in spirited debate about their wines. There is plenty to discuss. After tasting, of course."